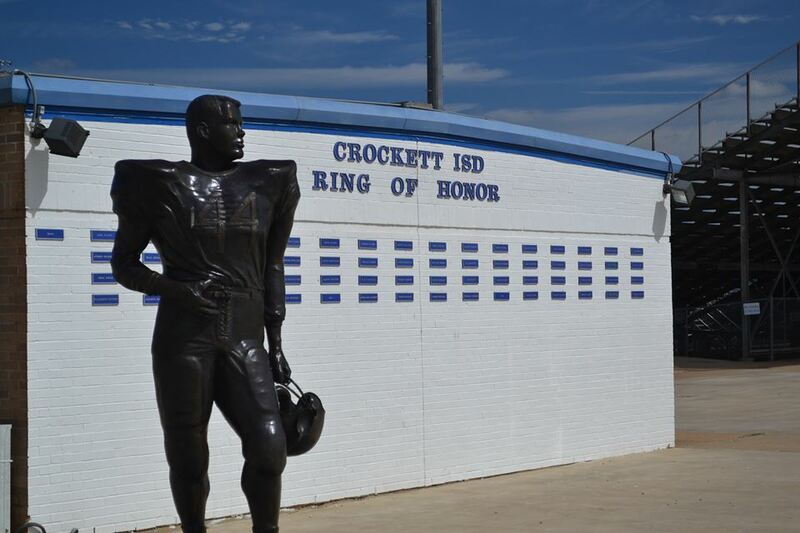 CROCKETT – The deadline for the Crockett ISD Ring of Honor has been extended until June 28 at 4 p.m. Started in 2010, the Ring of Honor is a blend of age, race and areas of accomplishment and represents the hard work and the extra effort it takes to reach the standards of excellence in a nominee’s life. “This is a great way for the community to recognize not just the athletic accomplishments, but all accomplishments by folks who have been a part of Crockett High School,” CISD Superintendent Terry Myers said. “I think it is a real, real neat thing that our community chooses to honor our folks in this way,” the superintendent said. Applications are available on the district website at www.crockettisd.net under the category of School Board Trustees. Completed nominations may be turned in to the CISD Administration Office located at 1400 West Austin Street in Crockett. Must have been out of High School competition for a minimum of 12 years. Must have been recognized for outstanding athletic achievement. Must have graduated and ended their athletics career in good academic standing. Must have exhibited exemplary standards of conduct during competition. Must have taught, or been an administrator at Crockett ISD schools for 10 years or more. Award may be given posthumously. candidate must have exhibited exemplary standards of conduct during competition. Must be recognized as being a positive role model and person of character and have demonstrated leadership. Must have been recognized as being a person of uncommon dedication, going beyond the call of duty to assist students, staff and/or parents. Must have retired or resigned before being considered for nomination. The Selection Committee will consider both a candidate’s contribution to the CISD athletic program and the candidate’s contributions to his/her community. The new 2018 Ring of Honor inductees will be recognized during the Crockett Bulldogs Homecoming Game versus the Tomball Christian Homeschool Warriors. For further information please call 936-544-2125.